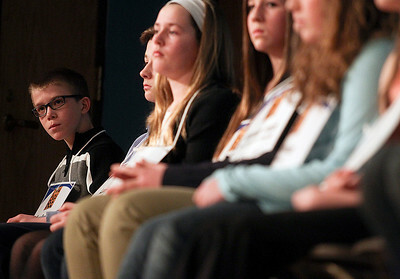 Sarah Nader- snader@shawmedia.com Lucas Urbanski of Crystal Lake thinks about a word while competing in the McHenry County Spelling Bee at McHenry County College in Crystal Lake Wednesday, March 5, 2014. 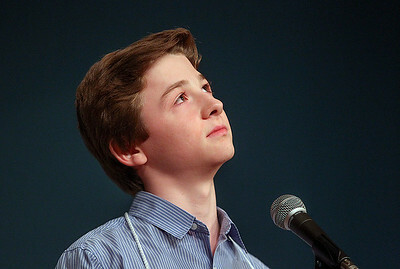 Lucas Urbanski beat out his sister, Clare, to win the spelling bee for the fourth consecutive time. 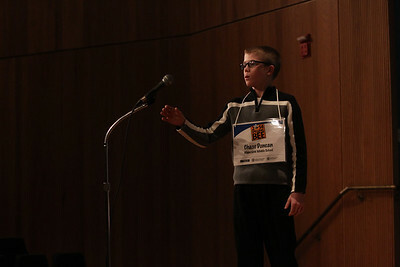 He will compete in the Scripps National Spelling Bee in Washington at the end of May. Sarah Nader- snader@shawmedia.com Lucas Urbanski (left) and his twin sister, Clare Urbanski, talk to each other after taking photos at the McHenry County Spelling Bee at McHenry County College in Crystal Lake Wednesday, March 5, 2014. Lucas Urbanski beat out his sister, Clare, to win the spelling bee for the fourth consecutive time. 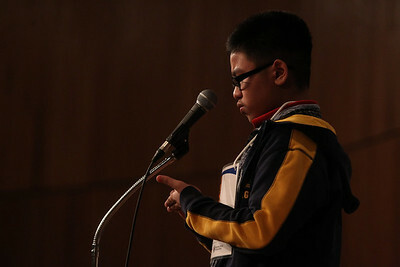 He will compete in the Scripps National Spelling Bee in Washington at the end of May. Sarah Nader- snader@shawmedia.com Lucas Urbanski of Crystal Lake spells a word while competing in the McHenry County Spelling Bee at McHenry County College in Crystal Lake Wednesday, March 5, 2014. 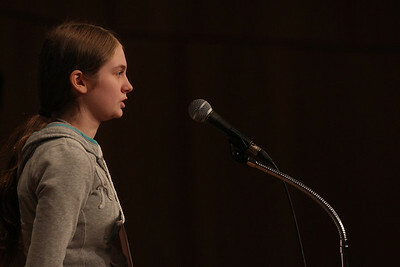 Lucas Urbanski beat out his sister, Clare, to win the spelling bee for the fourth consecutive time. 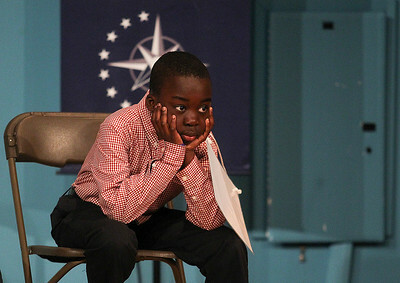 He will compete in the Scripps National Spelling Bee in Washington at the end of May. 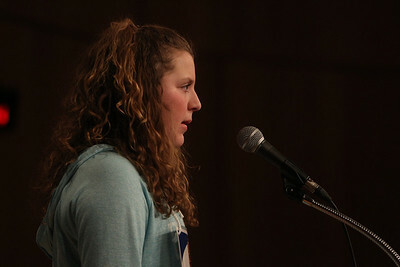 Sarah Nader- snader@shawmedia.com Chase Duncan spells a word while competing in the McHenry County Spelling Bee at McHenry County College in Crystal Lake Wednesday, March 5, 2014. 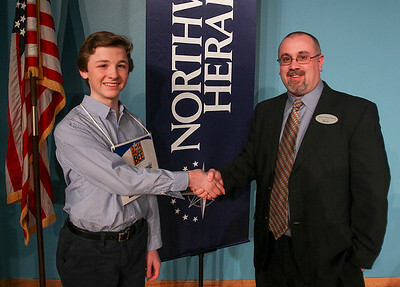 Lucas Urbanski won the spelling bee for the fourth consecutive time. 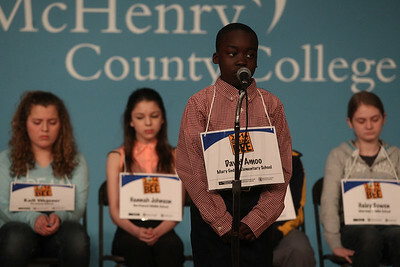 He will compete in the Scripps National Spelling Bee in Washington at the end of May. Sarah Nader- snader@shawmedia.com Laura Urbanski of Crystal Lake reacts to her misspelled word while competing in the McHenry County Spelling Bee at McHenry County College in Crystal Lake Wednesday, March 5, 2014. 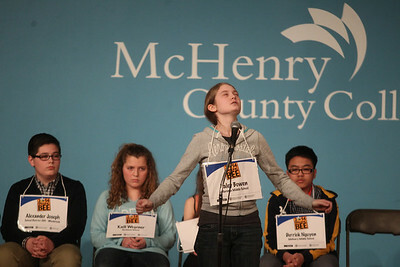 Lucas Urbanski beat out his sister, Clare, to win the spelling bee for the fourth consecutive time. 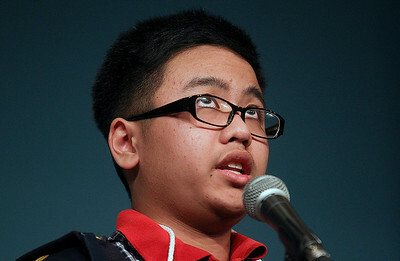 He will compete in the Scripps National Spelling Bee in Washington at the end of May. 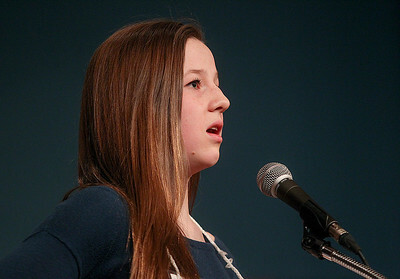 Sarah Nader- snader@shawmedia.com Laura Urbanski of Crystal Lake spells a word while competing in the McHenry County Spelling Bee at McHenry County College in Crystal Lake Wednesday, March 5, 2014. 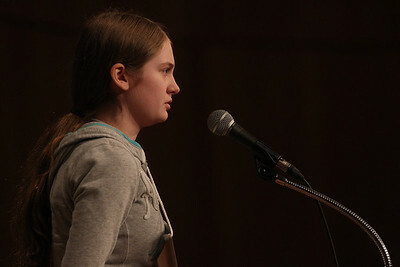 Lucas Urbanski beat out his sister, Clare, to win the spelling bee for the fourth consecutive time. 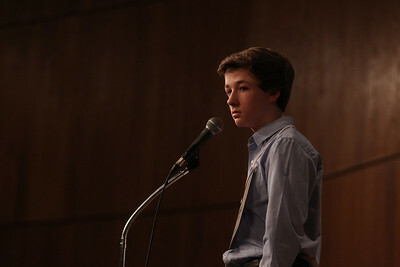 He will compete in the Scripps National Spelling Bee in Washington at the end of May. Sarah Nader- snader@shawmedia.com Chase Duncan (left) waits for his turn while competing in the McHenry County Spelling Bee at McHenry County College in Crystal Lake Wednesday, March 5, 2014. 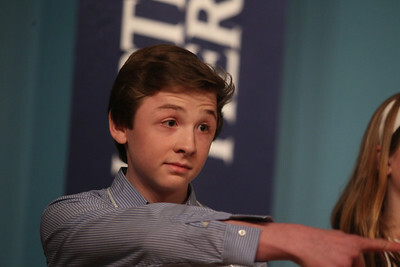 Lucas Urbanski won the spelling bee for the fourth consecutive time. He will compete in the Scripps National Spelling Bee in Washington at the end of May. 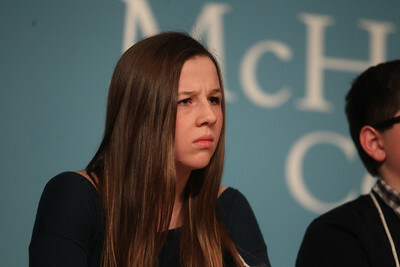 Sarah Nader- snader@shawmedia.com Haley Bowen reacts to her misspelled word while competing in the McHenry County Spelling Bee at McHenry County College in Crystal Lake Wednesday, March 5, 2014. 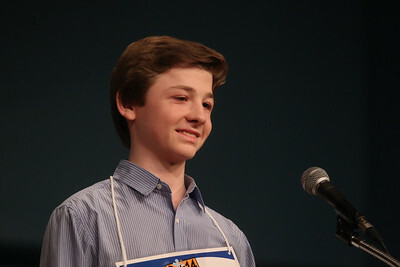 Lucas Urbanski won the spelling bee for the fourth consecutive time. He will compete in the Scripps National Spelling Bee in Washington at the end of May. Sarah Nader- snader@shawmedia.com Davis Amoo waits for someone to misspell a word while competing in the McHenry County Spelling Bee at McHenry County College in Crystal Lake Wednesday, March 5, 2014. 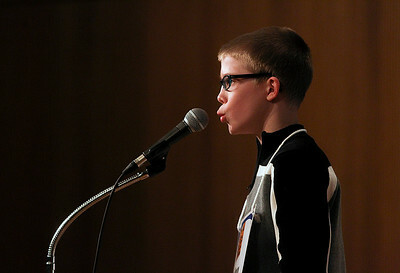 Lucas Urbanski won the spelling bee for the fourth consecutive time. He will compete in the Scripps National Spelling Bee in Washington at the end of May. 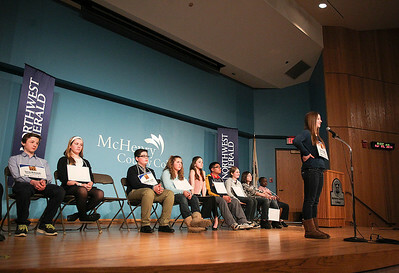 Sarah Nader- snader@shawmedia.com Derrick Nguyen spells a word while competing in the McHenry County Spelling Bee at McHenry County College in Crystal Lake Wednesday, March 5, 2014. Lucas Urbanski won the spelling bee for the fourth consecutive time. He will compete in the Scripps National Spelling Bee in Washington at the end of May.